I am the ultimate cancer survivor! In May 2014, I had a routine breast cancer screening at UCLA Medical Center on 15th Street in Santa Monica. I had numerous x-rays and ultrasounds. I was diagnosed with breast cancer on both breasts, but they were two different types of breast cancer in each breast. 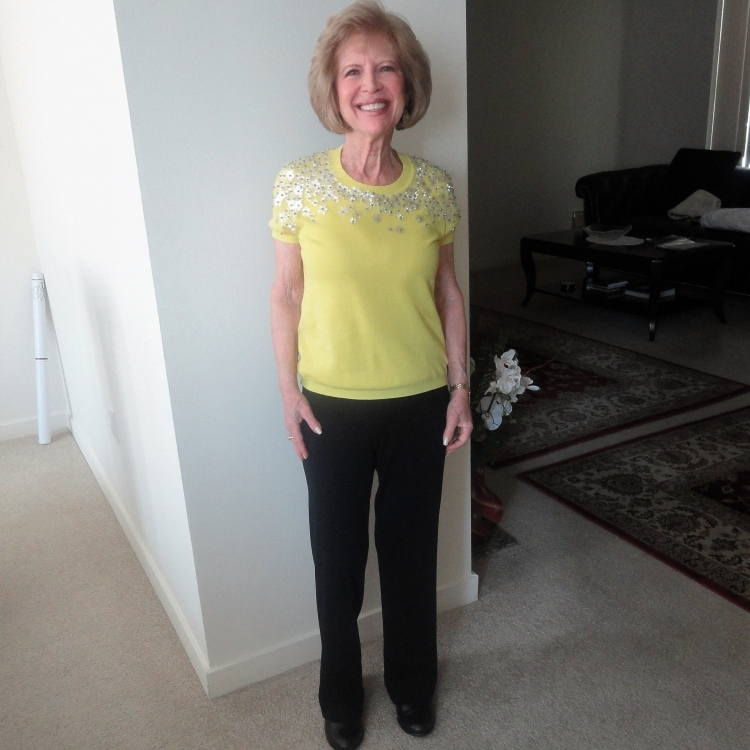 I underwent two lumpectomy surgeries in my left breast and three surgeries in my right breast. I started radiation treatment for 6 weeks in the UCLA Breast Center. I did not have one bit of pain throughout the entire session, and was able to perform all my usual household tasks and never had to lie down to recover. I have the utmost praise for the entire radiation team, and my wonderful caring oncologist. It may be hard to believe, but I actually looked forward to my radiation treatments, as the therapists were so kind, and my oncologist was so caring. When my radiation ended, I sent personal thank you notes to my loving outstanding UCLA breast cancer team, including my radiation team and my oncologist. My oncologist told my husband that Rebecca was one of her best patients! When I go for my routine follow-ups, it is like a warm happy family reunion! Having also previously conquered colon cancer, lung cancer, and basal carcinoma, I believe I am the ultimate cancer survivor. I sincerely hope my story of survival will inspire others. I always try to look on the bright side and I always have an absolutely positive outlook. I feel so blessed and will always be so grateful and thankful to my superb UCLA breast cancer team, absolutely the best breast cancer team in California! I am living proof that breast cancer can be conquered! I am 80 years young and still going strong!